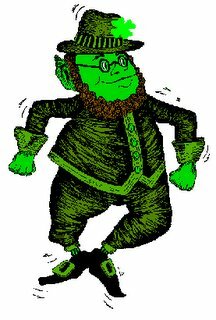 While St. Patrick's day is being celebrated with a large amount of booze and wild sing-a-longs, Honey Bucket shows its overseas support in the unity of worldwide burping with a nice, Celtic inspired musical medley. Make it green, mean, legal and FREE - that's the spirit of the day! Click here to stream away ! Green Tea plays a mixture of traditional Irish dance, progressive world music and Jazz. These tunes are taken from their first and latest album "All Ages". You can't have a REAL Patrick party without these Celtic hooligans. 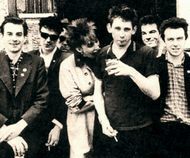 Fronted by the ultimate teethless darling, Shane MacGowan, this classic track is taken from the superb '88 album"If I Should Fall from Grace With God". 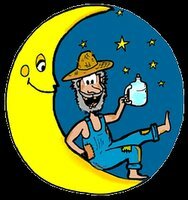 The "Moonshiner" traditional Irish drinking song has been getting countless amounts of covers over the years, from Bob Dylan to Cat Power and beyond. 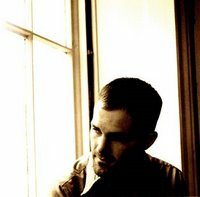 This version by Jeffrey Foucault is taken from his wonderful '03 album, "Redbird". 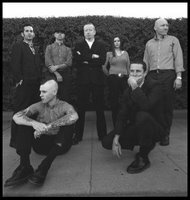 Combining wild rock, punk and traditional Celtic music, this powerful song is taken from Flogging Molly's '04 must-have "Within a Mile of Home". Taken from David Kincaid's tribute album of civil war music, "Irish American's Song", containing songs of the American Civil War's Union and Confederate Irish soldiers. A fascinating history lesson ! "... 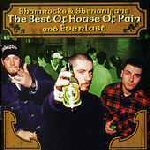 The House Of Pain is not a gang/Just a funky Irish name/A Celtic savage makin' cabbage/With corn beef on the side/Irish pride is what I got/I got a lot so don't dispute it..." House of Pain brought Irish pride straight into the US Hip Hop scene back in the early 90's. This funky track is taken from their debut s/t LP. The Remix version appears on "Jump Around" 12".